December 9 thru 15, is Computer Science Education Week (CSEdWeek) and a coalition of organizations – Computing in the Core, Code.org, and CSEdWeek – have come together to democratize computer programming. 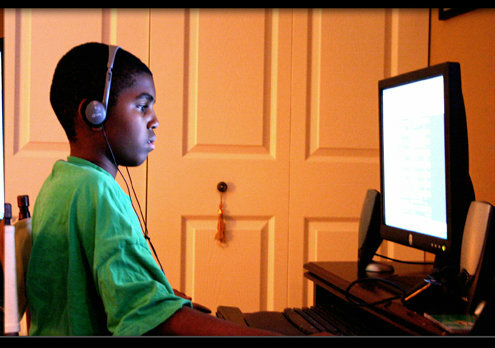 Throughout the week, people from age 6 – 106 can learn basic computer programming either online at CSEdWeek or at various free events in your community. No excuses. You don’t even need a computer! Do we need computers for every participant? NO COMPUTERS NEEDED! We will curate a selection of Computer Science tutorials that work on PC’s, smartphones, and tablets – so really you can join wherever you are with whatever you have. If you have more than one device, research shows that students learn best when they are pair programming, sharing a computer. So encourage your students to double up. If using smartphones, they can take turns. If you have only one internet-connected device, then you can have an audience interactively shout out answers while you go through the tutorial on a shared screen using a projector. And if you don’t have any internet-connected devices, you can still participate. Computer Science is all about problem solving, logic, and design, so you can start with pencil and paper (like some of the best professional programmers) using “unplugged” tutorials (see example “unplugged” tutorials: by NCWIT or by ThinkerSmith). I am big proponent of our kids learning computer science because coding will be the language of the future and the field is in desperate need of diversity. So sign your kids up for one of the free events and get them started. This entry was posted in Free resources, Freebie Friday, Girl empowerment, homeschooling, yardyspice and tagged "Hour of Code, Black Children, Diversity, STEM, yardyspice. Bookmark the permalink. Kids?! Heck, I might try this stuff out myself! You rock, dude! Keep up the good work. Thanks! I’ve heard the same from some of my fellow home-school moms. Woah. I got an email from my old Khan Academy account yesterday, and I checked out their hour of code “introduction to drawing” activity. I showed it to my daughter after school, and she was hooked within 2 minutes. She spent easily 2 hours (after homework and clarinet practice!) experimenting with it. After dinner she showed my wife what I showed her. I will definitely check this out. Thanks for the link. I really appreciate it.